← 4th Annual science education fundraiser LAUNCH! Equally problematic are the amendments enacted this year to Florida’s education code; specifically, the section that permits challenges to “instructional materials” used by public schools. Previously, challenges were limited to parents with children in the school district. Now, any resident of the county with an axe to grind can challenge the appropriateness of anything (textbooks, videos, software, etc.) having “intellectual content” and used as a “major tool” for instruction. In short, a limited, parent-centric complaint procedure has been turned into an open-ended, highly accessible platform for sectarian pressure groups — more interested in advancing a particular belief than how certain material might impact a particular child. It opens up the possibility of coordinated campaigns by groups seeking to ban material deemed objectionable on religious or political grounds (such as evolution and global warming). “Our concern is that school boards across the state will be forced to give a lot of time and effort and perhaps even some finances to field complaints from citizens that don’t know a lot about science themselves,” he said. Though his area of expertise is science, Haught expressed disappointment that educators in other disciplines haven’t spoken out against the law. Members of Florida Citizens’ Alliance have other concerns, including how some textbooks discuss Islam. Others take issue with science textbooks and how they deal with two topics in particular: evolution and climate change. “There will be people out there that argue that creationism versus Darwinism are facts. They’re both theories,” he says. Gov. Scott also recently signed a new law that has alarmed people who care about science education. Known as H.B. 989 and targeted at the teaching of climate change and evolution, it empowers those who want to object to the use of specific instructional materials in public schools. Now, any resident can file a complaint about instructional material; it used to be limited to parents with a child in the schools. The numbers of first-time test-takers for high-school teaching certifications in biology, chemistry and Earth/space science stayed constant or declined a bit during the same three-year period. In physics, that number dropped by one-third. The Colleges of Education at the state’s universities aren’t even coming close to meeting the demand. 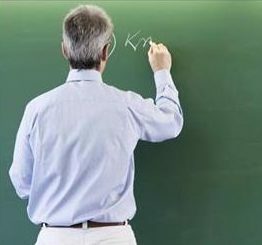 According to an estimate in the Critical Teacher Shortage Area report for 2017-18 prepared by the Florida Department of Education, there were 214 vacancies for chemistry and physics teachers in Florida’s public schools in 2016-17. Across a walkway in the Holley Center, Sonya Livingston Smith, a retired Rockette, and Denise Newsome, a teacher at Deane Bozeman School, were working to convincingly disguise a physics lesson as a dance class. While dancers practiced their turns and pliés, Newsome used motion sensors to track how their arm motions increased or decreased the velocity of their spins. “It’s a great way to help the students not be scared of physics,” said Newsome, who describes herself as a science nerd with a dancing background. This is the first year FSU PC has held a Physics of Dance camp, and Newsome hopes to grow the two-day offering into a full week in the future. And let’s not forget we here at Florida Citizens for Science are running a fundraising campaign to help teachers obtain needed science supplies. 4th Annual science education fundraiser LAUNCH! FCS launched its 4th annual fundraising campaign today by creating a Giving Page at Donors Choose. On that page you can choose from several projects across the state to help fund. FCS will match dollar for dollar total donations up to $700, essentially doubling your gift. This is on top of similar offers from corporations like Orkin and Tom’s of Maine highlighted on some of our chosen projects’ pages. A few donations have come in these first few days of the campaign, which is awesome! But we need a lot more if we hope to get all of the selected classroom projects funded before students start walking in the classroom doors. Please help us out. If the above items sound familiar to you, then it’s probably because you follow us on Facebook and Twitter. We’re posting the newest news items there nearly every day. It’s well worth liking and following us! This entry was posted in FCS in the News, In the News, Instructional Materials bills '17. Bookmark the permalink. As a PoliSci and Spanish major who spent quite a few post graduate years in the financial markets in Chicago, even penning a white paper that led to the relisting of the peso futures contract, I really resent this battle being set out as a liberal versus conservative issue. I am a financial conservative but have been an outspoken advocate of the most recent instructional materials adopted by our school district in Collier County for the social sciences. Quite frankly, I resent Dominionists like the FLCA who attempt to step in and tell me exactly what my child needs to learn based upon not just a politcal agenda, but a religious agenda. People like Flaugh need to fess up for tuition for their grandchildren if they truly believe that a Christian based pedagogy is a necessity. I, like many others here, who remain in the majority who soundly defeated Mr. Flaugh and his candidates in the most recent school board election, remain committed to providing a non sectarian education that is supported with exceptional materials, which is what our board ultimately approved. I find it sad that Mr. Flaugh has found an audience with so many while the true voices of Collier County Public Schools have gone unheard. He does not represent US, he simply represents an agenda of a very small group of people here who do not even have children who attend traditional public schools. I wish that those who truly wish to understand this issue contact parents in this district in lieu of a grandfather with a political axe to grind. We parents know far better.